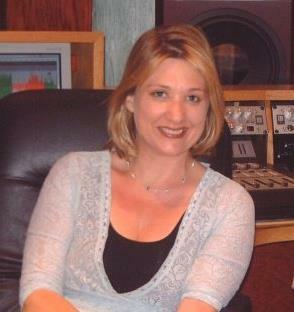 Cathleen Flynn is a highly sought after composer and has scored​ ​an extensive range of media projects, including Feature Films, Television Series, Documentaries, Comedies, Commercials, trailers and children’s programmes. Cathleen has worked in both LA and the UK and her music has featured on Dateline NBC, the BBC, ITV, ABC, NBC, CBS, HBO, MTV, The History Channel, and the SCYFI Channels. She has developed a strong international​ reputation as a skilled and creative composer, musician, orchestrator, music/vocal arranger, music editor, music transcriptionist, and copyist. Additionally, Cathleen ​holds​ a Professional Certificate from the prestigious Berklee School of Music in Film and Television Composition and Orchestration. A brief review of just some of her work highlights the breadth of her talent and reputation. Flynn composed the acclaimed ​award-winning documentary, “My Life with Rosie,” and feature film, “Darrell”, which won several awards, including best composer, as well as the Edward R. Murrow​ Award-winning​ ​“Hidden Hunger,” and other Capital Public Radio documentaries. Recently, Flynn orchestrated the score​ ​for “Greta,” Neil Jordan’s highly anticipated forthcoming film, starring Chloë Grace Moretz and Isabelle Huppert. She also co-wrote Tommy Fleming’s, “Be All You Can Be” on his new CD “Stories” and CD/DVD “Voice Of Hope 2.”​ ​“Be All You Can Be” was also the First Place Winner in IMRO’s Christie Hennessy Songwriting Competition 2014.